The 2017 Academy Awards show had the world talking. Never before had the biggest award of the night, “Best Picture” been mistakenly given to the wrong nominee. Never before had the wrong envelope been given to the presenters to read from. This was live television at its unedited best and unscripted worst. But after the dust settled, the water-cooler chats moved onto host Jimmy Kimmel, who throughout the night had dropped casually racist remarks with the intent of being humorous. Kimmel joked about Oscar winner Mahershala Ali’s newborn daughters’ name. Instead some argue, of celebrating Mahershala as the first African American Muslim male to win an Oscar. That may be showbiz, but here in Australia racism is still very much a reality too. Be it an overtly hateful act or statement, or off the cuff remarks with racist undertones. The SBS recently produced a documentary ‘Is Australia Racist?’ that centred around a survey on racism and prejudice. It was a joint project undertaken by SBS themselves and The University of Western Sydney. This is something fourteen year old Sami, who is Australian born to Iraqi migrant parents experiences. Each weekend he takes a train and bus from Sydney’s Western suburbs into the city where he has a part time job. “Sometimes on the bus I’ll have a spare seat next to me and when new people get on they look at me, then at maybe a white guy with a spare seat next to them and go sit with the white guy,” he says. According to clinical psychologist, author and speaker Renee Mill, casual racism is prevalent in Australia, especially as so many people still only identify with their own race or culture without learning about the others living alongside them in society. “People tend to discriminate against people of different cultures, sexual identities and races by avoiding, excluding, insulting or otherwise being rude. This makes the racist feel superior and safe when he or she acts this way,” she explains. This notion of needing to feel “safe” against an “unknown” is very much what Sami feels commuters are doing by choosing not to sit with him. Ms Mill explains this behaviour is often motivated more by fear of the unknown than by hate itself and offers the following tips to both those dishing it out and those on the receiving end. The opportunities to let others in may not be too far away. According to the 2001-2008 ‘Challenging Racism’ surveys - a national research collective, 84% of Australians already think there is racism in Australia and we need to do something to address it. 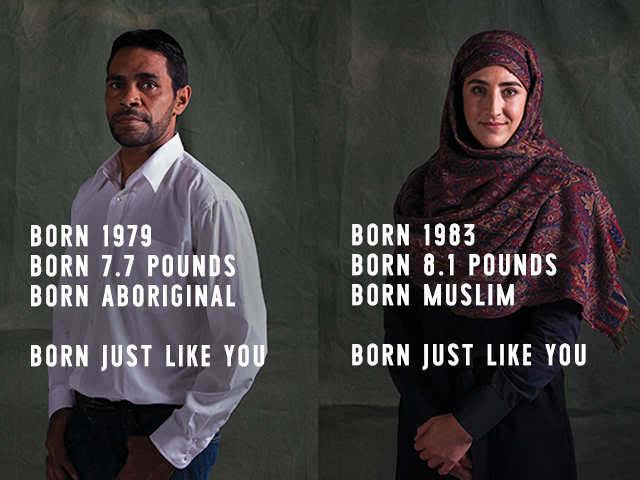 A notion echoed in Relationships Australia NSW’s (RANSW) 2016 “Born just like you” campaign which set out to challenge subconscious biases. RANSW, is an independent, inclusive organisation that provides free relationship support services for individuals, families and communities. Accepting diversity- first step to an inclusive society promoting & supporting respectful, and resilient relationships. If you or someone you know is experiencing or have been a victim of racism, our face to face and online counselling might help you overcome the issue and find tailored solutions for moving forward. Call 1300 364 277. Just like physical bullying, cyberbullying can cause considerable distress to the victim. Here we look at how cyberbullying works and how it can be addressed. A day of shame. A day of Pain. Rays of hope. Australia Day. It’s a divisive term that evokes countless reactions among Australians. From celebrations to protests and boycotts. Also referred to as Invasion Day…... Survival Day…... it’s a day of introspection and evaluation.